Let me start by saying that I can’t take credit for this cake. I’ve seen it about 436 times on Pinterest. But my Andrew turned 12 and asked me for a cake covered in candy. I don’t really know what exactly he had in mind, but this immediately jumped into my brain full speed ahead. 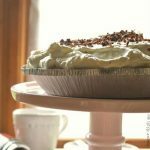 I used THIS VERSION of the recipe from Recipe Girl, with only a couple of minor adjustments. I need you to know that this is hands down THE BEST CHOCOLATE CAKE I have ever had. I am not even kidding. It’s a dressed up box cake mix- I started with Duncan Hines Devil’s Food and then followed Recipe Girl’s measurements and baking instructions to the letter. She was spot-on. I changed the frosting because her chocolate buttercream called for melted chocolate chips and I didn’t have any. So I used her recipe for buttercream frosting (lighter than the one I usually make and YUMMY) but sifted in 3/4 cup cocoa powder at the end in place of the melted chocolate chips. It was a major frosting victory. After I smacked Chad’s knuckles with the spatula a few times for trying to steal chocolate buttercream(at one point he snatched the whole mixing bowl when my back was turned and tried to run off with it), I finally got my two layers of cake stacked and iced. The original recipe also called for Giant Kit Kats. In the interest of not wasting a tank of gas going from store to store AND also to avoid spending $17 on candy, I went with the snack size Kit Kat bars. They are wrapped in two’s – like what you would get in your candy bag on Halloween. I used most of two 12 packs (** make sure you buy enough! I made the mistake of trying to eyeball how far my Kit Kats would go and came up short. So we had to stop at the grocery store on the way to my mom’s and I completed cake decoration with the plate in my lap while we drove down the road**). The Kit Kat’s on my cake don’t have as much height as they do on Recipe Girl’s, but it was plenty. Pre-heat the oven to 325. Grease and flour two 9 inch round cake pans and line six cups of your muffin pan with paper liners (there is enough batter here for the cake AND six cupcakes). In a large bowl whisk together the cake mix, flour, sugar, and salt. Beat in the water, oil, vanilla, sour cream, and eggs on medium for about 2 minutes. Fill the six cupcake liners to ¾ full. Then distribute the remaining batter evenly between the prepared cake pans. The cupcakes will bake for about 25 minutes. The cakes will bake for 35-40. Check them with a toothpick inserted into the middle; it will come out clean. Cool the cakes completely before frosting. To make the frosting, beat the butter and cream cheese together until smooth. Add in the powdered sugar in a little at a time, beating on low speed. Slowly pour in the milk and vanilla. Beat until the frosting is smooth and everything is evenly incorporated. Then gradually beat in the cocoa powder. Add a splash or two of milk if the frosting is thicker than you’d prefer. Once the cakes have cooled, situate the first layer on a serving platter or cake stand and frost the top and sides. Gently set the second layer on top of the first and then frost the top and the sides. Place the Kit Kats around the sides of the cake, leaving just a little gap in between each one. 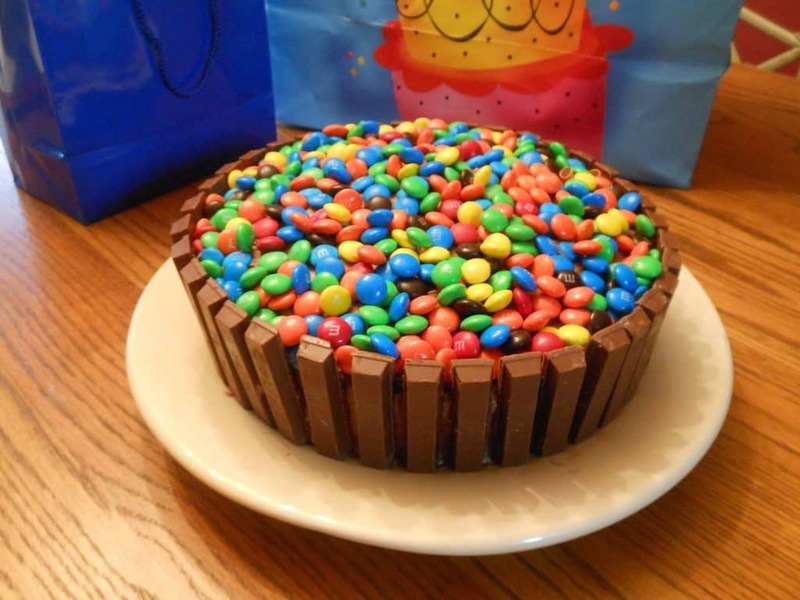 Be sure to place them so part of the Kit Kat bar sits above the top of the cake, creating a “fence” that holds in the M&M’s. Space them evenly. 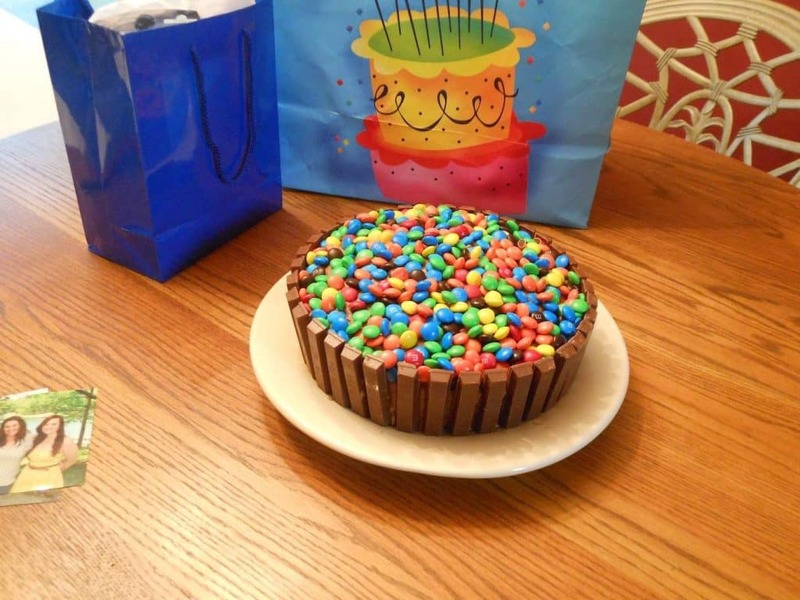 Sprinkle the M&M’s over the top, adding more and more and making sure they are evenly distributed. Use the whole bag; it looks great with a big pile of candy in the middle! I wasn’t kidding when I said this was the best chocolate cake I ever had. It was moist and rich and beat down all the other chocolate cakes 🙂 I highly recommend it! So cute. You are such a good mommy. Awww thanks 🙂 That is definitely THE BEST compliment. Find yourself an excuse to make it! Even without all the candy, The chocolate cake recipe made some mean cupcakes! It was a good base for decorating- dense enough to hold chilled buttercream frosting and lotsa candy but moist and spongy like a box cake mix. 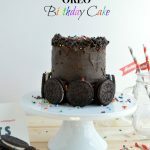 My mother’s 80th birthday is in june…definitely making this for her!! Thanks so much for sharing…she will LOVE it!! Awww that’s awesome! I love making birthday cake 🙂 The original blog post has a pretty bow tied around the Kit Kats. Not something 12-year-old boys dig but definitely would be so pretty for your mom!!! Oh my lord that is divine. Talk about indulgence heaven. Yummy! Seriously. 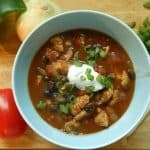 I would recommend this recipe to anyone!!! Mmmmm…I love Kit Kats. I can’t wait to try it! Kit Kats + Cake = You Can’t Go Wrong. 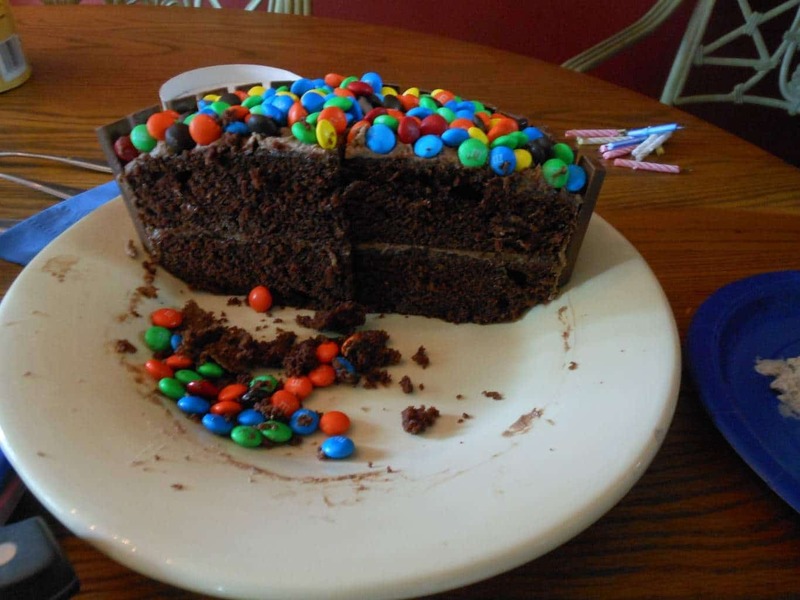 I’ve seen this on the web too, and I bet your son was thrilled to have this as his birthday cake! I bet it was fun to make. Wow, yum, and pass the milk!! OMG!! @pinkrachel I still do that with my kitkat bars. We still have the foiled ones in our part of the world. And Heather, this cake has made me regress 15 years. 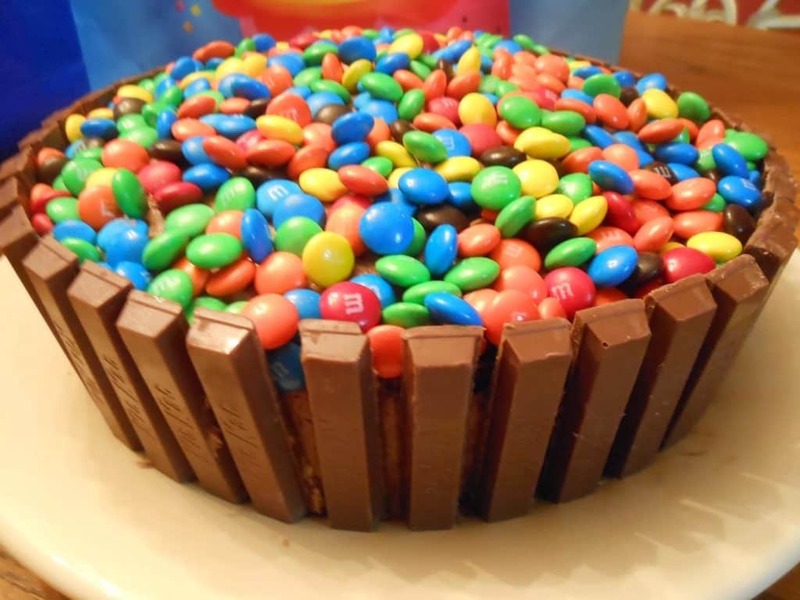 M&Ms + KitKat IN A CAKE = memories of Halloween happiness. I love Halloween! It is my most favorite holiday. I have so much fun with candy and costumes and decorations and more candy. This cake was yummy yummy goodness 🙂 I was so pleased with the recipe. I just ate a tablespoons’ worth of chocolate chips after looking at this. It kinda does that to you. This cake is fantastic! Now I know what I’ll be making for my friend when her birthday comes in July. It’s so festive looking and I bet delicious! Oh my gosh, girl, this cake is excellent! I would recommend the cake base for any of your chocolate cake needs. I’m making it tomorrow for some school bake sale cupcakes! Thanks! I wish it were my idea! 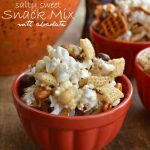 Recipe Girl’s version was my original source, but there are variations all over the place- the bottom line: this is cute, simple, and SUUUUPER good. How far ahead of time can you assemble that cake….I’m frosting now, but the party is tomorrow afternoon….thanks!!! Hi Melissa! I’m not sure why this comment was just delivered and I apologize for the delay. A cake a day ahead is A-ok! Especially if you have room for it in the fridge. I hope you enjoyed it! Thanks for reading! Cake walk. I think they will be running towards this cake. Thank you for posting it. I like your “cocoa” frosting. I made it. !!!! Awesome to say the least. Took it to church , and the cameras cake out!! Do you think it would come out just as good if I used gf cake mix? ?